#15 Terriers face a critical weekend with a pair of Hockey East games. Tonight, BU will try to gain a split in its regular-season series with #13 Northeastern, following last week’s 4-1 home loss to the Huskies. Puck drop at Matthews Arena for the Military Appreciation Night contest is set for 7 p.m. BU hosts #9 New Hampshire Saturday night at Agganis Arena with a 7 p.m. start time. Last weekend, Northeastern senior Nolan Stevens’ hat trick was the difference in the Huskies’ win (recap) at Agganis Arena. Junior Jordan Greenway had BU’s lone tally, a power play goal set up by sophomore Patrick Harper’s slick entry pass. 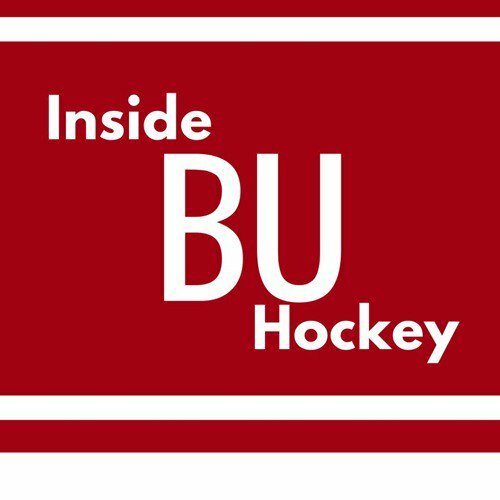 ► This week’s episode of Inside BU Hockey features Bernie Corbett’s interviews with Terrier Head Coach David Quinn, freshman defenseman Cam Crotty and UNH play-by-play announcer Pete Webster. A third-round selection of the Arizona Coyotes in the 2017 NHL Entry Draft, Crotty spent the past two seasons with the CCHL Brockville Braves, where the Greely, Ontario native earned All-Rookie honors in 2015-16 and was voted Top CCHL Prospect in 2016-17. 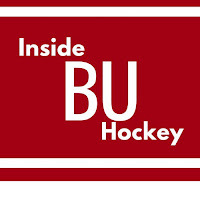 Former BU All-American and Hobey Baker Award winner Matt Gilroy is on the Team USA roster for the Deutschland Cup in Augsberg, Germany, beginning today. The tournament features teams from Russian, Slovakia and Germany, as well as the U.S., which will begin the process of choosing players for the U.S. Olympic Team that will skate in the Winter Games in PyeongChang, South Korea in February. 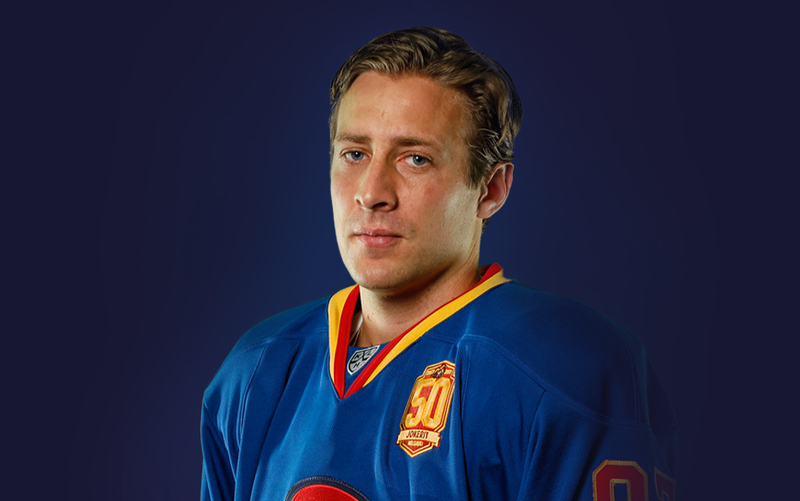 Gilroy, who plays for Jokerit in the KHL, currently has 17 points in 27 games. 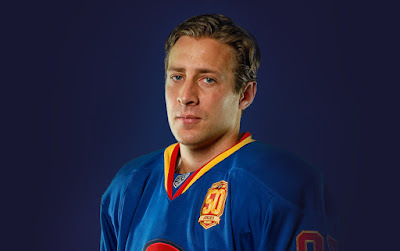 He is a two-time KHL All-Star. Along with Gilroy, BU junior Jordan Greenway is being considered for the U.S. Olympic Team. This past Saturday, Gilroy was among six Terriers inducted into the BU Athletics Hall of Fame. 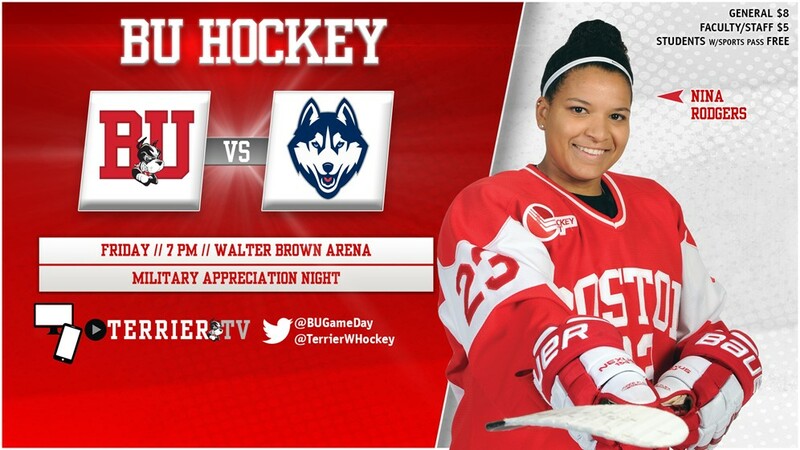 Terriers host UConn tonight at Walter Brown Arena for a 7 p.m. start on Military Appreciation Night. Any military member, in addition to Massachusetts fire and police personnel, will receive free admission. This will be the second meeting of the season between BU and the Huskies. On Oct. 22, senior captain Rebecca Leslie’s hat trick sparked a 6-2 Terrier win at WBA. Defenseman Alex Allan of the Pacific Steelers (Abbottsford, B.C.) has committed to BU for 2018-19. 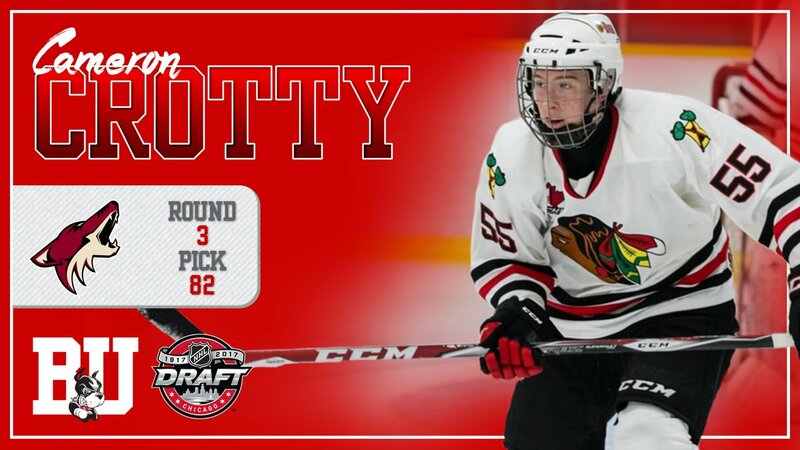 The Abbotsford, British Columbia native recently helped Team B.C. win a bronze medal in Canada’s National Women’s U18 Hockey tournament for the second year in a row. Another milestone for Marie-Philip Poulin! @pou29 receives the golden helmet for 100 international games played with @HC_Women. Congrats MPP! Former Terriers Poulin and Jenn Wakefield led the Canadian National Team to a 9-0 thumping of Sweden in the Four Nations Cup. Wakefield had a hat trick and an assist, while Poulin scored once and added three helpers.